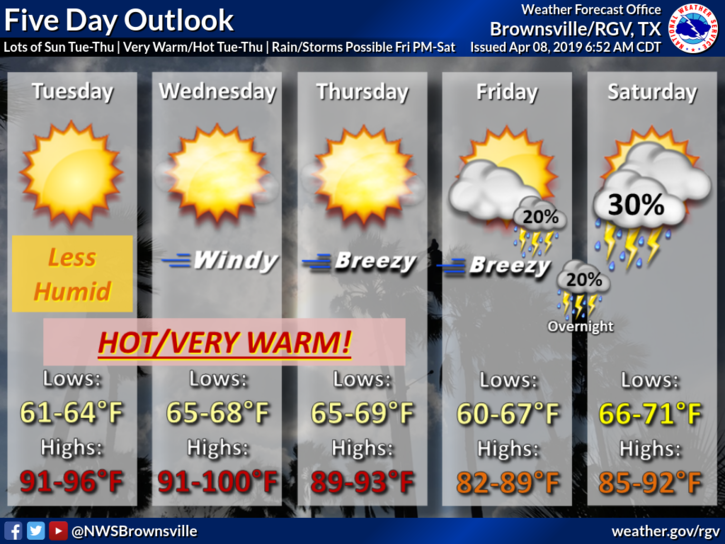 Expect warm weather with plenty of sunshine and less humidity Monday in the Rio Grande Valley, according to the National Weather Service in Brownsville. There is also a possibility for morning fog, especially along and east of Highway 281. Highs will be in the upper 80s and low 90s for most areas of the Valley. The coast, however, will experience 70-degree weather. McAllen and Rio Grande City will reach a high of 92. 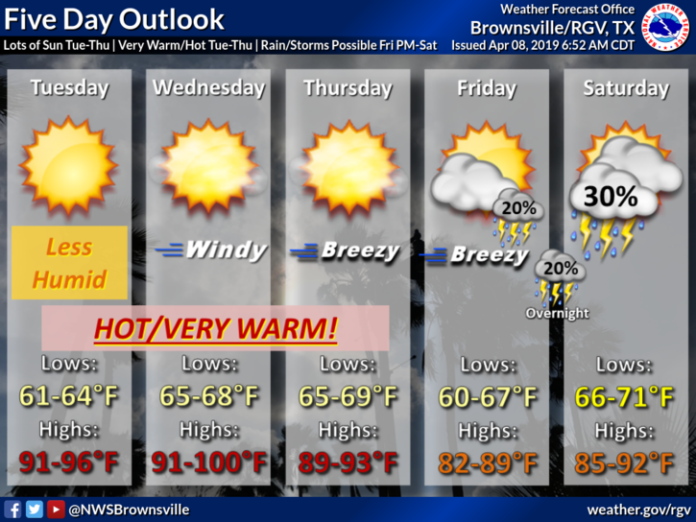 Harlingen and Brownsville will be 90 and 89, respectively. South Padre Island is expected to be 73. Looking ahead, things really begin to heat up during the next three days with dry and warm conditions Tuesday to Thursday. High’s on Tuesday will range between 91 and 96. On Wednesday, highs again will be in the 90s with the possibility that some areas will hit 100. Thursday temperatures will range between 89 and 93. Also, windy and breezy conditions are expected for Wednesday and Thursday.